Welcome to The Butcher Shop, located here at the Zombies Playground. As menacing as it sounds, all you'll really find here are quality cuts of meat - many of which are taken directly from human and zombie donors! 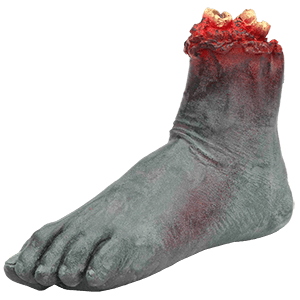 From limbs to organs to bits of bodies, you'll find a variety of gory props here for your perusal and use. Of course, none of what you find here is actual meat, but rather, very realistic and impressive looking props, all of which are designed to mimic the appearance of human and zombie anatomy. Among the things you'll find here are a number of severed limbs, ranging from hands, arms, and fingers, as well as feet and legs. For a more discerning customer, we've also got organs available, as well as number of gruesome severed heads that you can display or carry around whenever you're in your zombie costume. You can even find whole bodies here, assuming of course that you don't mind having a zombie or other undead hanging around and watching you all the time. For the truly discerning costumer, we also offer some cuts of meat served up on nice little trays, just like you would get from an actual butcher. The next time you plan and execute a zombie event, make sure you visit The Butcher Shop at the Zombies Playground to find all of the bodily bits and pieces that you'll need to create authentic zombie attacks. 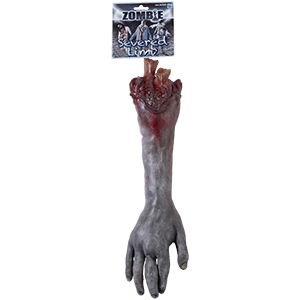 After all, what's a zombie outbreak without a little gore and viscera hanging about? As gruesome as they are, our Cut Off Heads are some of the scariest and most terrifying decapitated visages you are likely to see. Of course, The Butcher Shop at Zombies Playground offers a wide (and growing) assortment of severed heads for you to view and acquire for your own, personal use. Striking and startling in their appearance, these decapitated heads come in different shapes and sizes, as well as different looks to ensure that no matter what sort of gruesome little display you want to create, we have the head you need to make it happen. It doesn't matter if you're looking for a zombie head, a human head, or even a fresh skull, because you can find all three here. 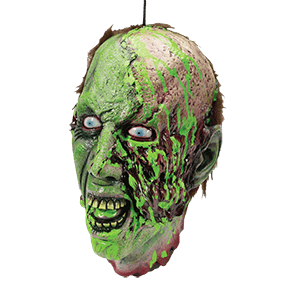 Incidentally, many of our severed heads also make for fantastic zombie trophies, especially when you consider that a zombie with its head cut off is fairly harmless (unless of course your zombies are the type that keep biting until they're brain is disabled). You'll also find a few other intriguing little items here that would have been cut off of a head, like detached ears and other visceral little items. Each decapitated head offered here is a prop only, and is made from plastic, foam, or latex (or any combination of the three). 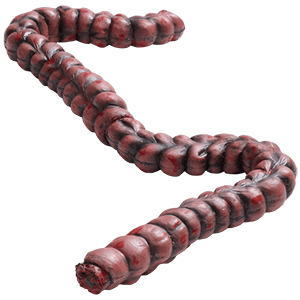 Does your zombie outbreak feel like its missing something? Is your apocalypse looking a little too "nice?" Add in a few of the Cut Off Heads from the Zombies Playground and you'll have a visceral and gruesome scene that is perfect for any zombie setting.